Two Three Strikes tournaments! 12pm and 6pm. Entry fee is $30 entry fee gets you in for BOTH tournaments and ALL YOU CAN PLAY PINBALL from 12pm to 12am! Please arrive at 11:30 so we can start promptly at noon. Each round four person groups on one game bottom two players get a strike. Three strikes and you're out. If groups of three occur, only last player gets a strike. Entry fee breakdown: 15 house, 2 ifpa, 3 trophies, 10 prize money. 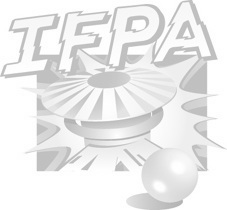 Ifpa fees, trophy, and prize monies will be split between the two tournaments. Each prize money payout will be paid 60% to first, 30% to second, 10% to third.